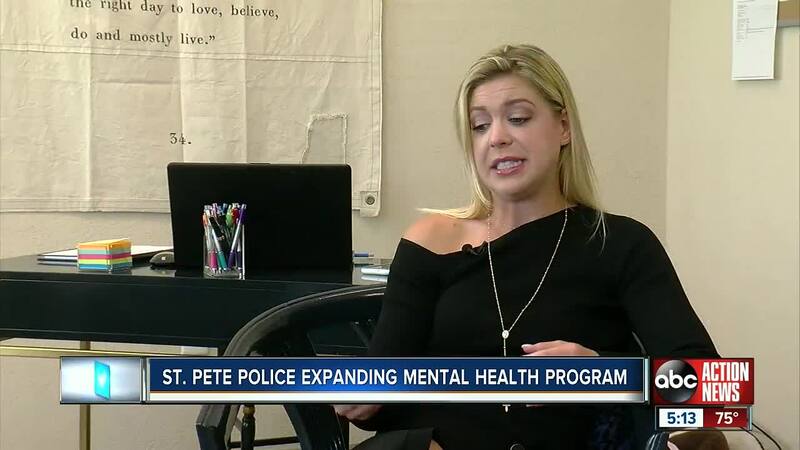 ST. PETERSBURG, FLA - The St. Petersburg Police Department is using a new approach to the way they handle mental health treatment. They have hired a psychologist who meets with officers off site at her office instead of the police department. Dr. Brandy Benson of Tampa Bay Psychology Associates is available to police officers and staff 24/7 if an officer is dealing with a mental health issue. According to the department, officers will get a certain number of free sessions per presenting issue. Examples of presenting issues include depression, anxiety, and marriage counseling. The program is focused on prevention -not just reacting when/if something happens. St. Petersburg Police Chief Anthony Holloway wants to make sure if his officers need help, they are getting it. “It’s okay to go through those emotions, but you don’t want to tie those emotions up because sooner or later it’s going to pop and we want to make sure we address that issue before it goes ‘pop’,” Chief Holloway said. Dr. Benson, a licensed clinical psychologist, specializes in first responder mental health. She said the clients she has seen already have told her they like this new approach. “We’re now treating the officer holistically,” she said. She was contracted in November. She said this program focuses on confidentiality as well. No one in the department, including the chief, will know who is seeking help and why. The chief said Dr. Benson would only get involved if it would impact the officer's job. “The goal is they come in, they work on what they need to, we get them right, we get them good so that they can go back out and do what they need to do and then they check in as needed,” Dr. Benson said. Dr. Benson believes officers and staff feel more comfortable by visiting her outside of their police office. Dr. Benson has visited the police station a few times and when she does so, she goes with her therapy dog, Molly. She said the great piece about this program is that it is available to the officer’s immediate family too. “That’s just supporting that holistic sort of approach to build mental wellness of our officers so that when they go out to work they can also come home to some place that’s restorative,” Dr. Benson said. Chief Holloway said it is important people have more conversations about mental health and that they can continue to get rid of the stigma. “When that officer -when he or she- goes through something, we’ve got to make sure that they’re not only good for us here at work, but they‘re good for their families at home,” Chief Holloway said.